In charge of planning and hosting events such as socials, parties, and the end of semester banquet. Choose Event Planning if you’re all about hosting talk-of-the-town events and making sure everyone has a great time. Organizing the New Member Retreat, Halloween Party, and other socials for members to bond. Working with other committees to plan large scale events like Ad Dash. Making arrangements for the after-meeting socials. Internal Productions is a committee focused on creating campaigns for Ad Society and maintaining our brand. They’re in creative control of t-shirts, posters, and promotions. Choose Internal Productions if you’re all about graphic design. Developing the Ad Society brand through innovative designs. Designing the cover photos, website and social media sliders, and other promotional tools for Ad Society. Working with the other committees to make sure there is creative consistency within promotions and all appropriate committees have the necessary designs. In charge of keeping track of all Ad Society happenings and communicating them with members. Choose Memberbiz if you’re all about interacting with other Ad Society members and getting them involved. Facilitating the flow of information within Ad Society so that members are up-to-date on opportunities and events. Working with other committees to promote events and increase attendance. Answering questions about Ad Society or helping members find the information they are looking for. This committee is responsible for the ICON, a newsletter that is distributed at every meeting. You will be writing articles for the ICON about our speakers, members, and other points of interest. Choose ICON if you’re all about reporting on events, writing up fascinating talk pieces and testing your graphic design skills. Collecting the latest Ad Soc news, updates, and industry insights and presenting them in a newsletter format. Interviewing and writing a member spotlight for each ICON issue. This committee is responsible for maintaining Ad Society’s website. Members will be in charge of uploading the blogs, videos, and photography to the website and keeping it updated. Choose Digital Creative if you’re all about being behind the lens, maintaining our online presence, and using WordPress/coding to better our image. 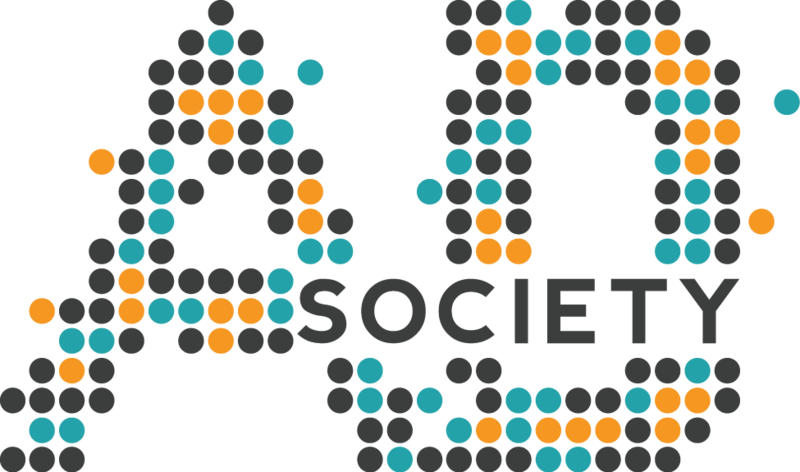 Updating the website frequently with information about Ad Society events, meetings, and opportunities. Working with other committees to make sure applications, logos, and ICONs are current. Optimizing the Ad Society website to have the most important information available up front. This new committee in Ad Society is responsible for creating the very first edition of our Advnt publication, a creative showcase book displaying UF’s Advertising student’s greatest creative work. Advnt is led by an Ad Society Director alongside a Chief Creative Officer and a Chief of Copy. Choose Advnt if you have a passion for bringing new and exciting creative opportunities to Advertising students either through your own creative talents, project management skills or public outreach skills. Be aware that anyone wishing to be involved in Advnt must fill out an additional application specifically for the committee, which will be posted soon. Adwerks is a student-run, full-service advertising agency that is not-for-profit and works for real local clients. The two teams in AdWerks are lead by a Creative Director and Account Director. Choose AdWerks if you’re all about developing your creative talents or if you’re interested in handling accounts. Developing a working proposal based on the client’s needs based on an initial meeting held with the team and client. Collaborating on a weekly, or biweekly, basis with your team to develop the campaign within the academic school year. Executing campaigns in a professional, business scenario. Working with your team to ensure all the clients needs are met and the work done is a positive reflection of your talents and Ad Society. In charge of planning service events for Ad Society. Some of these events include community outreach activities such as Relay for Life, the CFF’s Kickoff to a Cure, and working with the March of Dimes. Choose AdServe if you’re all about giving back through strong organizational skills and outreach. Reaching out to other local service organizations to set up volunteer opportunities for Ad Society. Communicating the value of volunteer work with members to get them excited to come to events. Organizing and choosing a client for Ad Dash. Ad Dash is an advertising marathon held every spring with a local non-profit looking to better the business communication. In charge of maintaining relations with faculty, alumni, and the community. They work closely with Gainesville Advertising Federation and Ad Council as well as being our liaison to Ad Soc alumni and the College of Journalism faculty. Choose Public Relations if you’re all about connecting with others and showing them what makes Ad Society so great. Handling all the social media accounts and making sure members are connecting with them. Live-tweeting Ad Society meetings and events so those who missed it can still be a part of the fun. Handling promotional activities for each meeting and event, including hanging posters and chalk-writing outside of Weimer Hall. This committee recruits professionals in the industry to speak at our meetings. Committee members will help the director choose who comes to speak at our meetings as well as making arrangements for the speaker before, during, and after their visit. Choose Speakers if you’re all about being the first to know our guest professionals and getting involved in the process of selecting them. Booking experienced industry professionals with valuable insights to share with our members. Making sure our speakers are accommodated well and enjoy their stay with Ad Society. Archiving presentations and keeping a relationship with speakers after their stay. This committee is responsible for the location, planning, and successful execution of our Ad Society trips. Previous trips include New York, Atlanta, Orlando, and Miami. Choose Trips if you’re all about traveling to different agencies and arranging overnight plans. Contacting agencies to arrange tours and visits for Ad Society members. Making hotel and transportation accommodations for trips. Creating schedules to adhere to for each trip so that everyone gets the most out of it. Generating excitement in the time leading up to the trips. Ensuring that everyone has all the important information to feel comfortable on the trip.